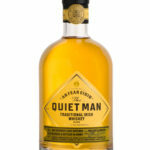 Disclaimer: Samples of The Quiet Man were provided by Luxco for this review. We recently reported the release of Luxco’s first ever Irish Whiskeys in America, the latest additions to the ever expanding portfolio of the St. Louis-based company. It’s been a bit of an exciting couple of years for Luxco. They purchased a 50% stake in Limestone Branch distillery and released a limited Edition Yellowstone bourbon. 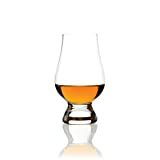 They released Blood Oath, a very popular limited release blending of bourbons that earned quite a bit of traction amongst collectors and whiskey geeks. 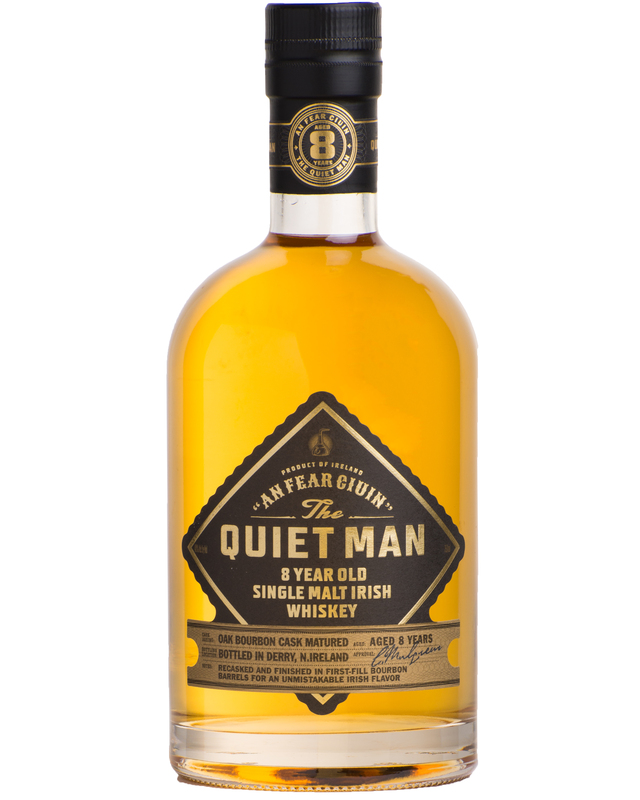 All of that was topped off with the exciting news that they will be investing $27 million into the construction of a brand new distillery in Bardstown, KY.
Luxco is proud to introduce its first-ever Irish whiskey, The Quiet Man, set to launch two varieties in the U.S. this month. 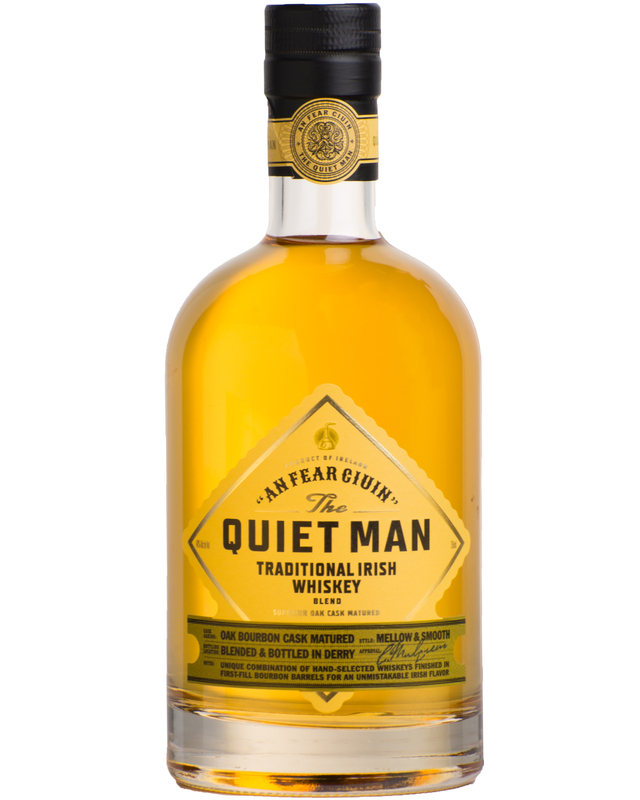 The handcrafted Quiet Man is produced through Luxco’s partnership with Niche Drinks in Derry, Ireland, and is the first Irish whiskey bottled in Derry in more than 100 years. 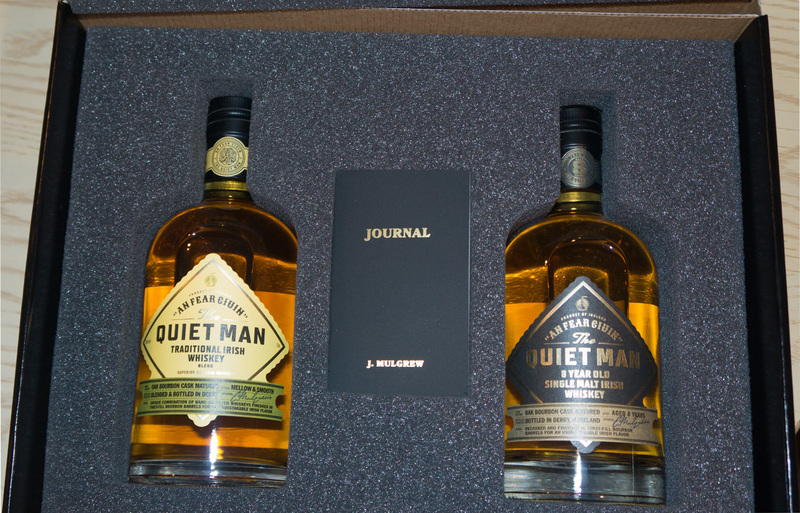 ModernThirst received a sample kit of the two variants and we are pleased to report with our tasting notes. 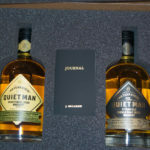 For those of our readers unfamiliar with Irish Whiskey who may be wondering what the typical flavor profiles of an Irish Whiskey compared to an American whiskey may be, have no fear. There’s no accurate answer to give. Irish Whiskey can really be any kind of whiskey so long as it’s produced in Ireland. That can lead to a wide variety of styles. 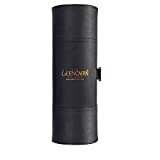 They can range from mild, bright whiskeys to peaty smoke bombs similar to Highland Scotch. Suffice to say, they tend more towards Scotch than Bourbon, as they rarely use spicy rye or sweet wheat in the mash bill. 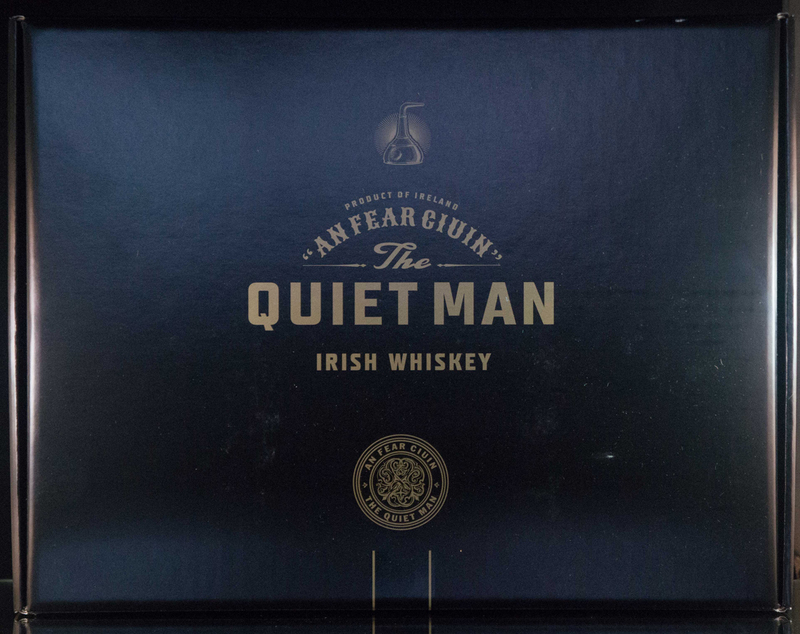 The package came in a nice, black box with the Quiet Man logo on the front. 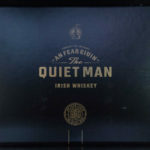 Inside were two bottles of the Quiet Man variants neatly displayed in a layer of foam with a small journal book containing Luxco’s tasting notes and space for additional handwritten notes to be scribbled. If Luxco is trying to impress reviewers with their packaging techniques, well, it worked. Unfortunately, consumers won’t get this presentation, and instead will find single bottles on shelves. But that’s quibbling. Both bottles are nicely appointed with real corks and attractive labeling. I started with the traditional blend. 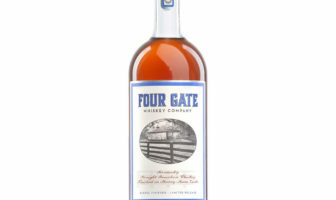 This is a high malt, four year old whiskey aged in once-used bourbon barrels and priced at $39.99. It is 80 proof (40% ABV). It’s a light, pale gold in color, much more pale than you would typically see in a 4 year old bourbon due to the effects of aging in a used bourbon barrel plus the milder Irish climate. Cereal and malted grains are the predominant notes here, but there is a potpourri essence with a light, air feel to it. Underneath that is a layer of tarragon and licorice. Once again, the cereal grains and malt dominant the flavor profile with a sweet, light fruit undercurrent. A sort of “new make” alcohol tinge offsets that, fading into the mildest hint of smokiness. Long and lingering with licorice and light wood notes, the ethanol “new make” flavor seems to continue longest of all. This is a cocktail whiskey. That strong “new make” profile needs to be toned down just a touch. Mix it. Try using 1.5 ounces of this plus an ounce of ginger beer. Serve it over ice, and you’ll have a really nice sip. 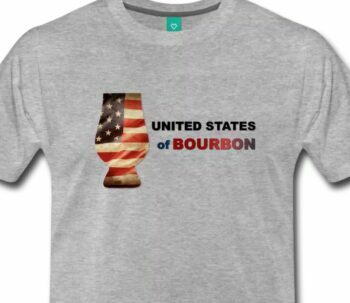 Whether $39.99 is too steep for a mixing whiskey or not, I can’t answer. I don’t much prefer this neat or with water, as it tastes a little underaged and unfinished. As the name implies, this is a single malt whiskey, 8 years old. It retails for $49.99. Only slightly darker in color than the traditional blend, this one is twice as old. The 8 year really sets itself apart from the traditional blend here with strong coconut, red grapefruit, and papaya fruits on the nose. There’s a hint of oak as well, but that’s followed up with strong malted grain. The 8 year starts off with a smooth, buttery oak flavor that gives way to very strong cereal grains and malt. There is a definite creaminess to the mouthfeel here, and it gives way to light hints of vanilla and a tinge of mango and pineapple. This can go a number of ways. It will stand up fine on its own, and a few cubes of ice really bring out the fruit flavors, but the 80 proof bottling doesn’t do it a ton of favors in that department. Likewise, the oakiness will work very well in cocktails. While the $49.99 price tag is slightly higher than its traditional blend counterpart, I feel like this is the far superior of the two offerings, and well worth the upgrade in price. Next Article New York City Beer Week is nearly upon us! Plus an exciting announcement from ModernThirst! 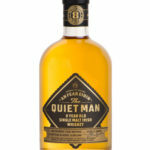 We were looking for some info on Quiet Man Whiskey and found your review helpful. Also, found your name interesting! My mother is a Straub from Northwestern Pennsylvania. Have never met any other Straubs who weren’t family… Hello and thanks! Hi Leigh! Glad you liked the write up! There are a fair number of Straubs in and around Jefferson County (Louisville), KY. I did some genealogical research a few years ago. Our branch came to the US around 1843 from Bierengen, Wurtemburg in Germany. If your mother is related at all to Peter Straub (who founded Straub brewery and is the patriarch of most of the Straubs in Pennsylvania today), then the families come from villages in Wurtemburg that are only a few miles apart, though the DNA is only distantly related, which is a bit of an odd coincidence. However, it appeared that John Straub (died in Union County, PA in 1828) adopted some children from his wife’s previous marriage who took his name, so there are a handful of Pennsylvania Straubs there related by name and family, but not by DNA.